Fine. Light shelfwear to cover edges and closed edges, otherwise a new and unread book. Fair. Light shelf wear to surface of cover and bottom end of spine. Water damage near top edge of cover. Otherwise a new unread book. Select 2006, Recorded Books, Prince Frederick, Md. If you combine the True Grit movies of 1969 and the New one of 2011 it is a faithful rendition of this story, but still does it credit. You get a much deeper understanding of all of the characters and a richer fuller story line. I highly recommend it! Best western novel I have read in some time. I enjoyed it as much if not more then the two movie adaptions that were made from it. as I presume people used to talk in those days. Many of the references in the book are based on real people and places in Arkansas and what is now Oklahoma. There really is a Yell County, and Dardanelle and Fort Smith are real cities. And Judge Parker was a real person. So you get a history lesson along with a fine dramatic story. Mattie Ross is a role model for all of us. This is a great story. I have shared it with other family members. No wonder to me it has twice been made into a movie. As usual, the book is better than either version of the movie. However, I think the 2010 version comes closest to the book. The story moves fast and is well worth time spent. 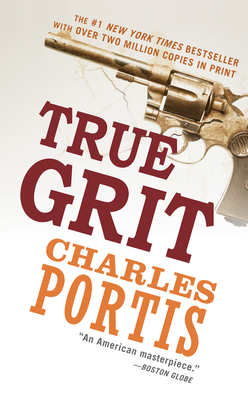 True Grit is very well-written novel with a great first-person voice in 14-year-old Matty. There's not a lot of depth to the tale, but it's well-told, moves right along, and is entertaining throughout.